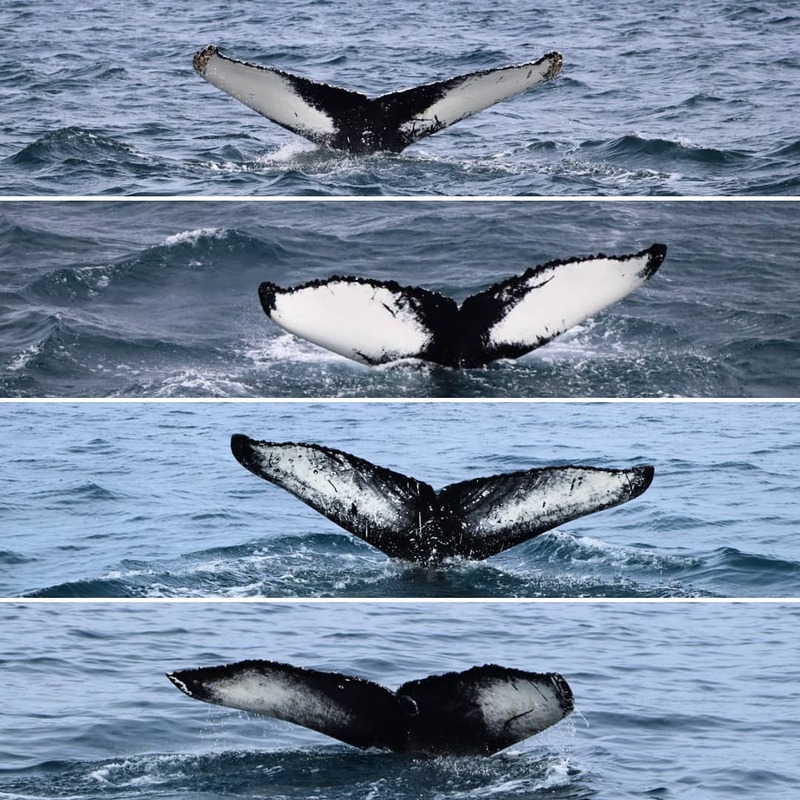 A great season of whale watching tours! 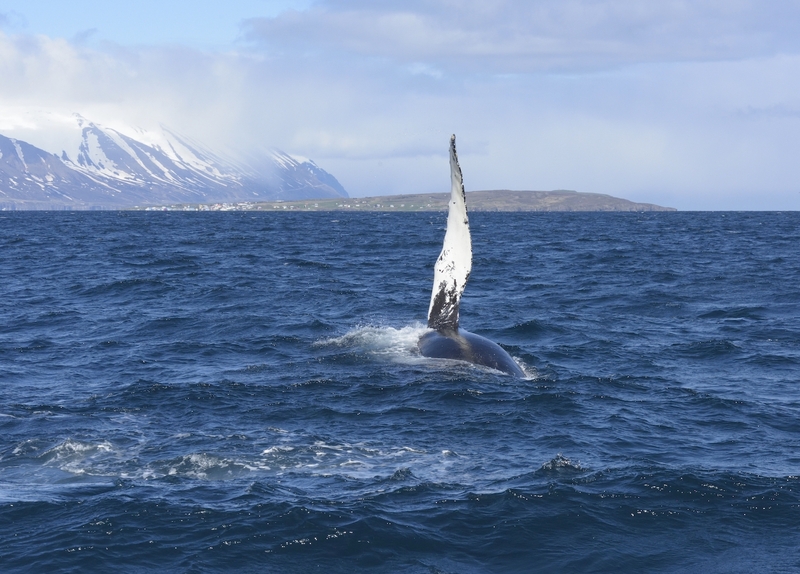 The Icelandic winter is around the corner and the whales are soon on their way to the South seas, and what an amazing summer we had! We finished our last tours for the season on October 10th from our every lovely fishing village of Hauganes here in Eyjafjordur fjord. We want to thank you all for a fantastic season, which was full of all kind of surprises and beauty. We had lots of guests this summer both cetacean and human. 🙂 We saw humpback whales in all our tours this summer, which is really exceptional. Also, we saw lots of harbour porpoises and minke whales and even some blue whale (the largest animal ever known to have lived on earth). Last but not least all our lovely guests enriched our little village with happiness and kindness and lots of amazing stories from all corners of the world. We truly are blessed! Humpback whale waiving its flipper near Hauganes. 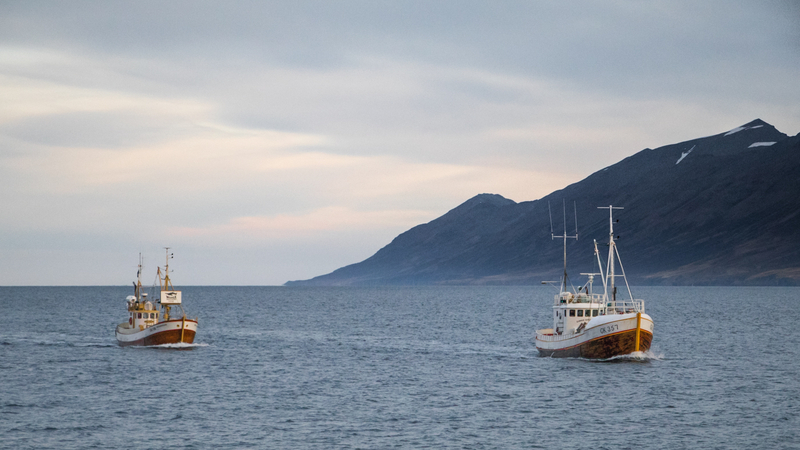 We have added a new whale watching boat to our fleet, Gunnar Hamundarson GK 357, a beautiful oak boat built in Iceland in 1954. We will restore Gunnar fully during this winter and have him ready for our next season alongside our every trusty oak boat Niels Jonsson EA 106. We can’t wait for inviting you all for a trip on our jewels in our crown. Niels Jonsson sailing alongside Gunnar Hamundarson. You can follow us on our Facebook page and on Instagram. 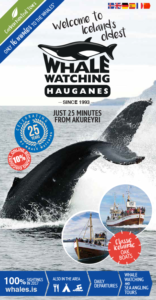 Also, we recommend that you check out The Icelandic Whale Watching Association for more information on whale watching in Iceland. Last but not least we recommend Visit North Iceland if you plan to visit North Iceland this winter. Lots of amazing things to see here and do! We look forward to meeting up again with our friends again next year. We will start sailing on May 1st and will of course insert the time table here as soon as it’s ready. Thank you for your visit, we hope to see you all in 2017!